This week we are continuing to learn Parts of Speech and our Bell Ringers. On Tuesday, February 26th, students are in with Ms. Joanne Seymour, the grade 8 and 9 counsellor, to do their course selection for the 2019/2020 academic year. Given that they are going into grade 9, many of their courses are required. Students will have the opportunity to choose 3 electives. These include interest courses like Foods, Woods, Metals etc. which are grade 10 level courses and allow students to earn 4 credits towards their graduation requirements. Language courses are also electives, and need to be taken at the grade 9 level. Students to not have to take a second language HOWEVER, any student who wants to keep the option of someday applying to university need to understand that most universities want at LEAST a grade 11 language course (meaning students would need to take language courses in at least grades 9, 10 and 11) just to be considered for admission. Students who have applied to special interest courses like SASE are to make course selections as if that is not a consideration. Changes to their schedule will be made if/when they are admitted to one of those programs. Please note that any materials that can be posted online (based on copyright permissions) will be posted/linked on this page. If a student misses time/classes, they are expected to access their work on this site. Each student is responsible for catching up on missed work, for submitting work to the instructor and for making arrangements to do so. Most of the work is done in the classroom and relies heavily on supplemental videos and class discussions. Missed assignments or assignments which students wish to redo because they'd like an opportunity to improve their level of achievement must be co-ordinated with the instructor using the Application to Resubmit process. If there is limited access from home or the location in which a student will be spending time, students will need to use access when they are back at school in Lunch Labs, after school or on breaks, or access resources available through services like the Whitehorse Public Library, Skookum Jim Friendship Centre's After School Tutoring Program, the Kwanlin Dün Kenädän Ku House of Learning, and/or other available community resources. Entries on the Week by Week section of this page always have the most recent week at the top. For older material, you will need to scroll down. For more general dates and information, please see the home page of this teacher site. Term : Archetype is a "type" of character that relies on widely-known sets of characteristics (within a culture) that act as a shorthand or symbol of a particular type of person. Writers / creators may then expand on those archetypes as part of character development. You're not physically ill, but emotionally/mentally, you are exhausted. Do you stay home from school/work? Have you ever felt like giving up? What influenced you to feel that way? How did you deal with it? Can you think of an example of someone not giving up who serves as an example for why people can/should keep going? What are the types of characters screenwriters can use to mold within their own cinematic stories? What is the difference between Archetypes and Stock Characters? If you want to write a screenplay that's worthy of positive attention from screenwriting competitions, Hollywood development executives, producers and actors - then it's important to understand archetypes and stock character conventions. In the GLEE clip below, there are several character archetypes, some of them are actually listed and others are implied. In the other video, several different character archetypes are explained with examples. There was once a time that I would only do what I knew was comfortable for me. Stuck in a continuous cycle of repetitive choices, I knew what was safe when it came to making decisions. By Elizabeth Kuster Initially, the title of this article was "Break Out Of Your Comfort Zone." But then I talked with bestselling author and fear expert Rhonda Britten, founder of the Fearless Living Institute, and she schooled me. "I'm not interested in people getting rid of their comfort zones," she told me. In considering the concept of perseverance (not giving up) we looked at the shorter of the two videos below - the one on the left. In case students are interested in a more in-depth look at this person's experience, I have also included the extended cut on the right. 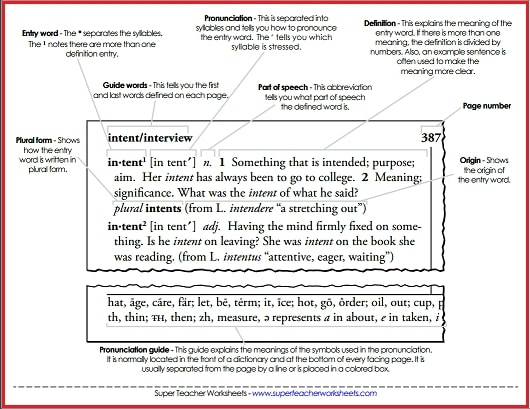 Content Focus - Conventions, Parts of Speech: Interjections! Term : Anthropomorphism is the process of attributing human traits, characteristics, qualities, emotions or desires to non-human animals. (Please note that this is a form of "personification" which would be the same process, but also include assigning those things to objects.) Example used was Lewis Carroll's class, Alice In Wonderland. You own a business. A friend who needs a job applies. Another person, one whose qualifications better match the job and the posting, also applies. Do you hire your friend or the other applicant? What impacts does social media currently have on your life? How do you think social media use now may impact you in the future? Are these impacts potentially beneficial or potentially harmful to you, in the short and long term? Examples of anthropomorphism and a video about how and why it is used in animation. 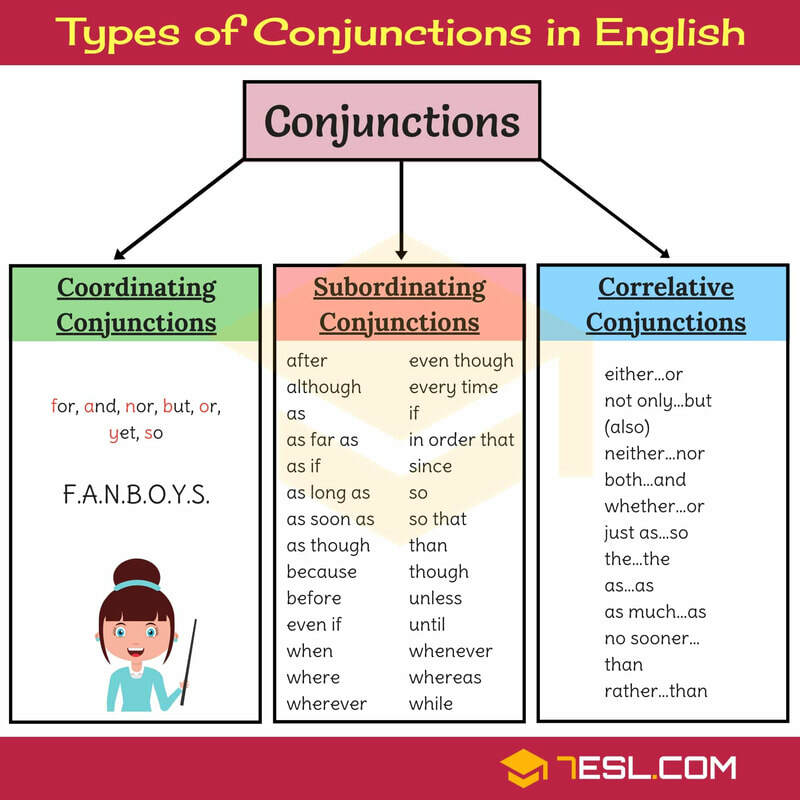 Content Focus - Conventions, Parts of Speech: Conjunctions! 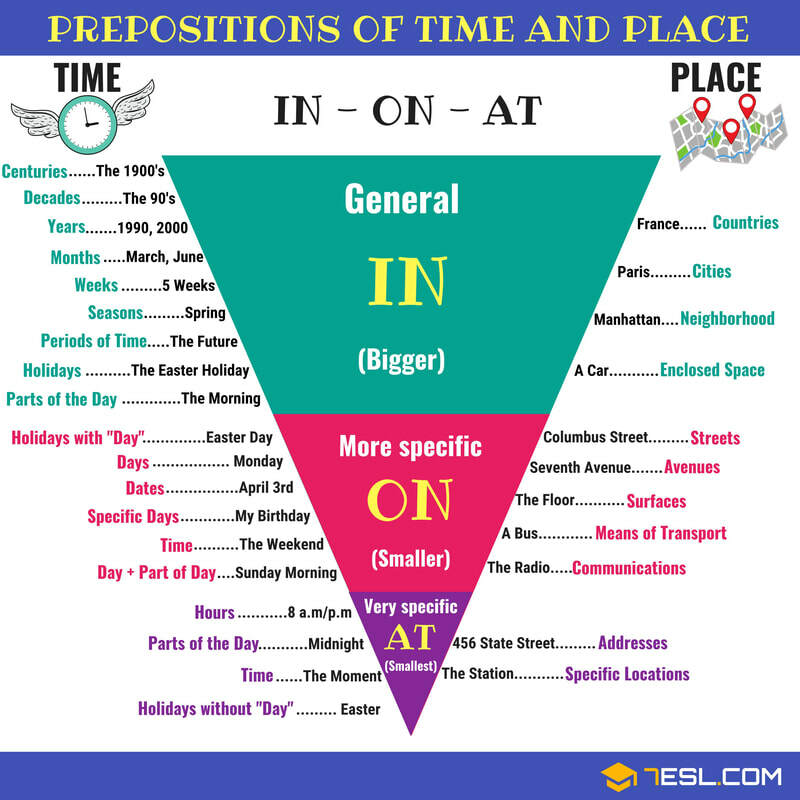 Content Focus - Conventions, Parts of Speech: Prepositions! Term : Antagonist is the character, force or group directly opposing the protagonist (main character) in achieving their goals/resolving their conflict. Police ask you for information about a friend. You know that this friend has, in fact, been involved in illegal activities. Do you share what you know will the police? "Be nice to yourself. It's hard to be happy when someone is being mean to you all the time." A protagonist is NOT necessarily a "good guy" - they are the main character. The author/creator of a piece of text want us to experience the story from the perspective or based on the priorities of the main character. The main character may be a morally "good" or "bad" character. The antagonist is whatever or whomever is standing in the way of the protagonist getting what they want or need to resolve their conflict in the way that will meet their goals/hopes. As a result, if the protagonist is a "bad" person, the antagonist could be a "good" person. Or another "bad" person. "Good" vs. "Bad" labels are subject to the collection of character traits, not to their place in the action of the story. There can also be more than one antagonist in a story, but there is typically one key or primary antagonist. The example we worked with was Lord Voldemort in the Harry Potter series (the key seven stories that make up the base of the series). As demonstrated in the video below, Harry Potter and the other main (but secondary) characters face a series of one-off and recurring antagonistic characters and forces (not all of which appear on the list below), but always, the main conflict is between Harry Potter and Lord Voldemort. 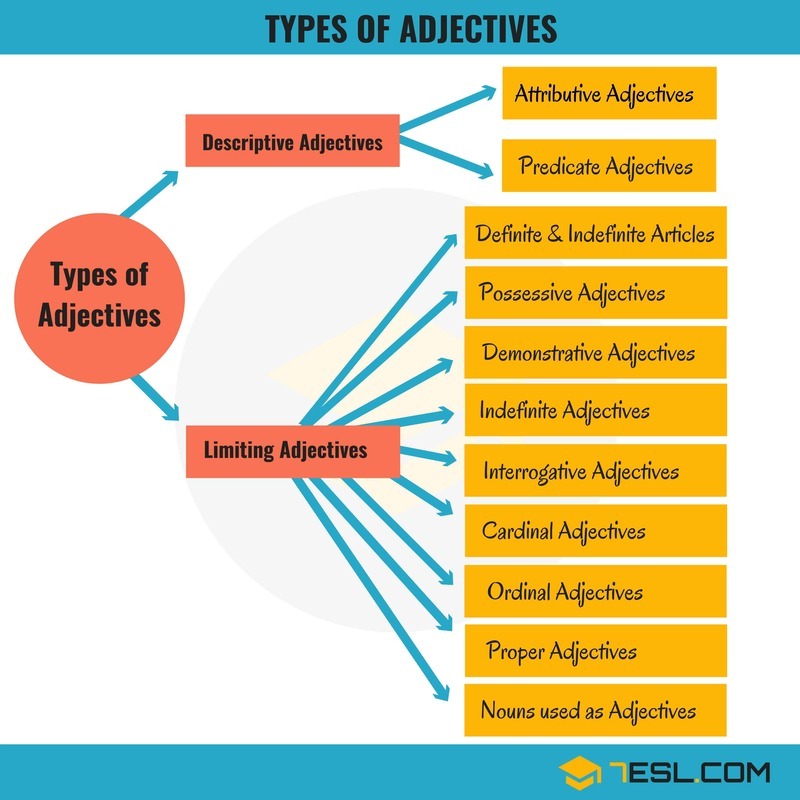 Content Focus - Conventions, Parts of Speech: Adjectives! 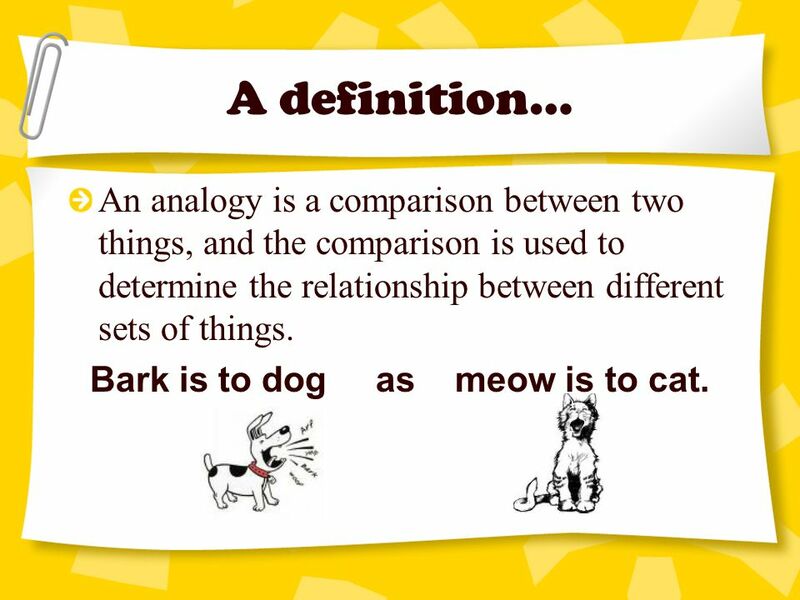 Term: Analogy -​ in literature, it is a description that compares two things that might not otherwise be considered similar. It is usually used to show the relationship between issues, ideas, things or people. You see some great content that would fit perfectly into a presentation that you have to make. You know that it is copyrighted. Do you copy it without permission and use it in your presentation? Do you think that making something more fun can change peoples' behaviour - why or why not? Students can bring a personal choice of book or magazine to read. I offer a selection of novels, nonfiction, poetry and magazines in my classroom. 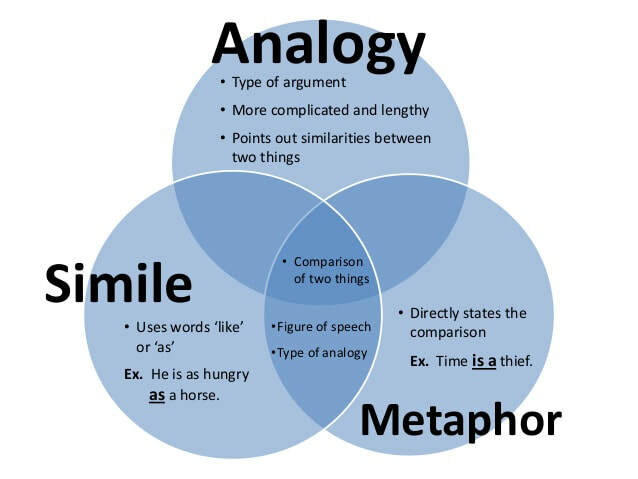 The speech clip below is intended to demonstrate an extended analogy. We discussed political bias as part of watching this piece of audio-visual text. The whole business of misattributing quotes certainly didn't begin with the Internet-it's been going on as long as anyone can remember: Once a famous person gets a reputation for saying witty, profound or inspiring things, people tend to attribute quotes to them that sound like something they might have said, but that they didn't actually say. 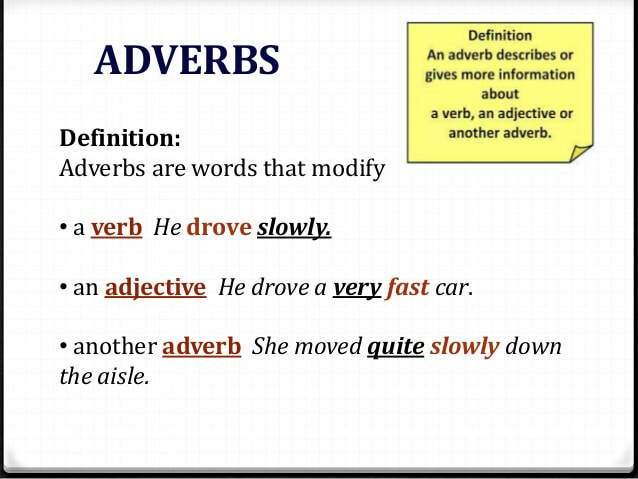 Content Focus - Conventions, Parts of Speech: Adverbs! 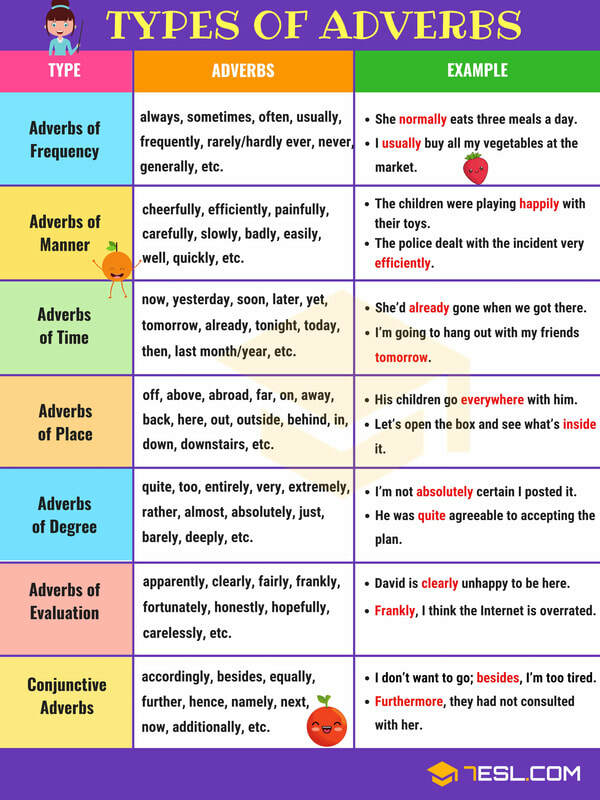 We did a series of worksheets and a test on the function of adverbs (in their varying types). The worksheets are copyrighted material and as a result cannot be posted on the site. Term: Allusion, Reference to a culturally known person, historical figure, historical event, or piece of art which the author uses as a form of shorthand to communicate an idea to an audience. You back into a very tight parking space. You dent a car on one side of the parking space. No one is around. Do you leave a note accepting responsibility and providing your contact information? "It is ok not to know. It is not ok not to try." What is the purpose of the "Free Hug" Campaign? Would you have accepted/given a hug if approached? Why or why not? 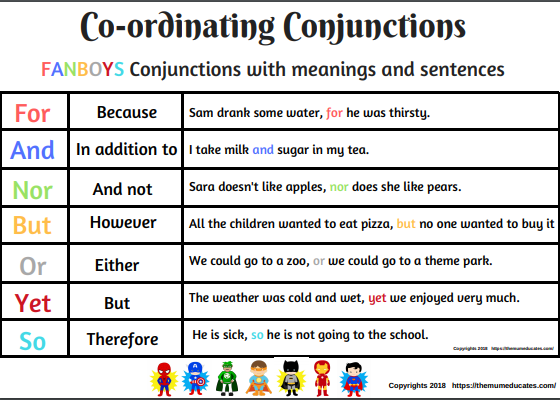 Content Focus - Conventions, Parts of Speech: Pronouns! 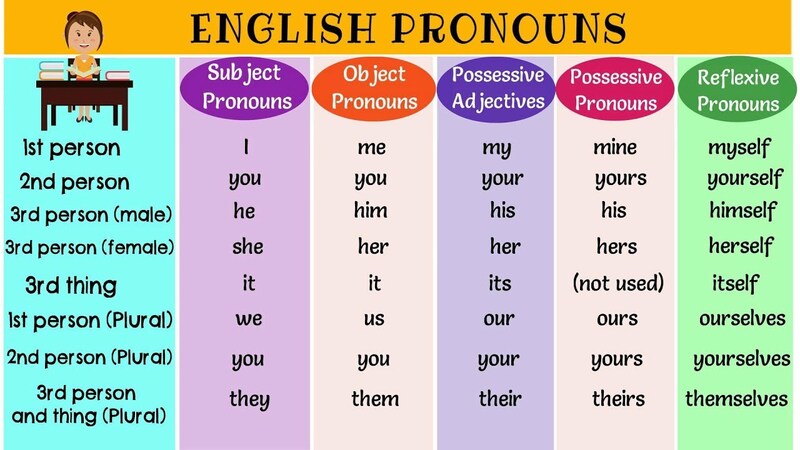 Pronouns are words that replace nouns in written and/or spoken language. 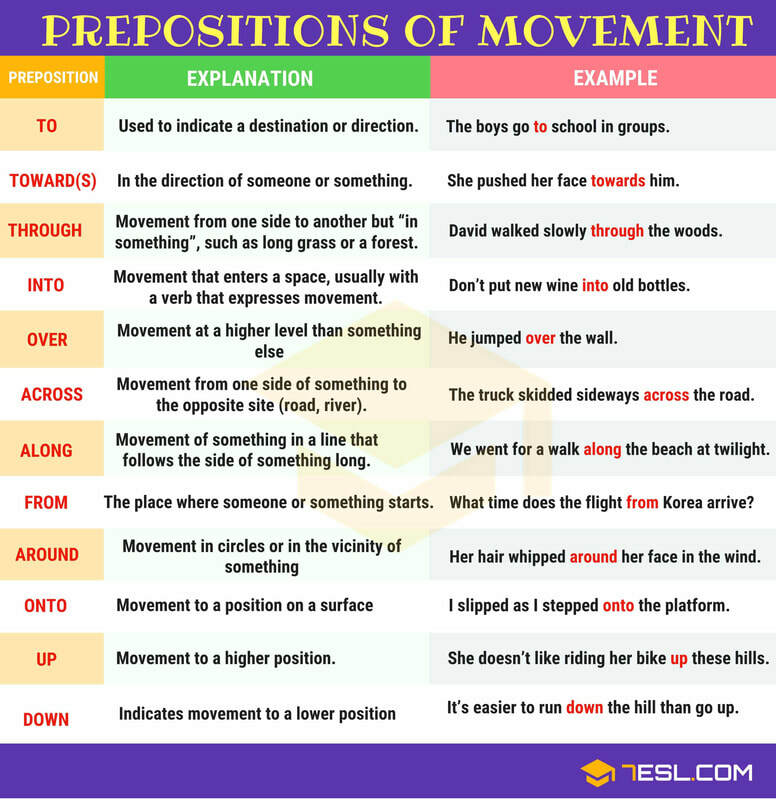 They serve the function of acting as a short-hand to limit repetition of nouns and the construction of wordy and awkward sentences. Reflexive - used with another noun/pronoun to indicate something done to the "self"
When talking about pronouns, we also need to know that antecedents are the nouns the pronoun replaces. or refers to. 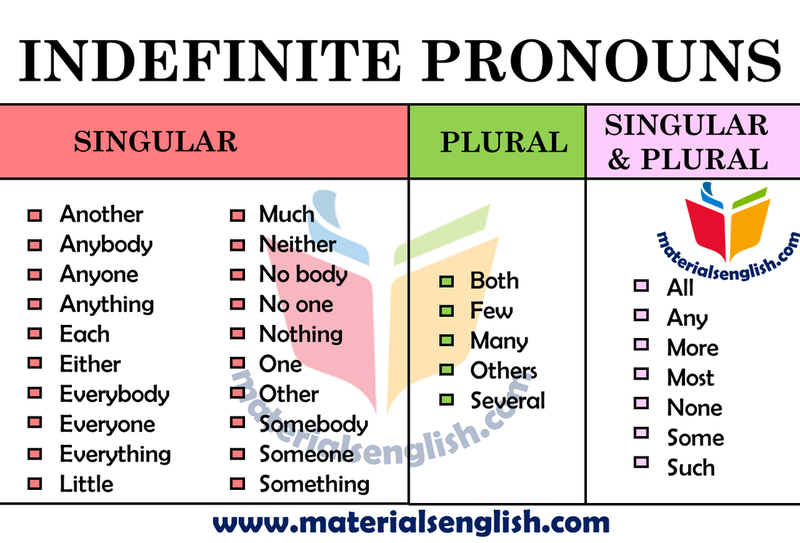 Remember that a pronoun, like a noun, can also be either singular or plural. 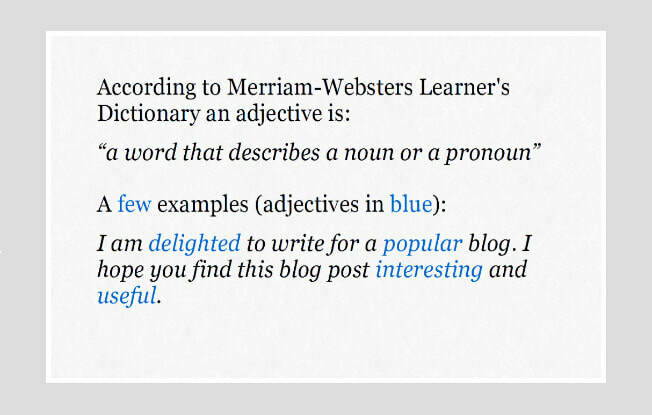 Below is a link to Grammar Girl's Online Grammar Guides and Tips at Quick and Dirty Tips. Grammar Girl - Mignon Fogarty, is a passionate grammarian with a sense of humour. 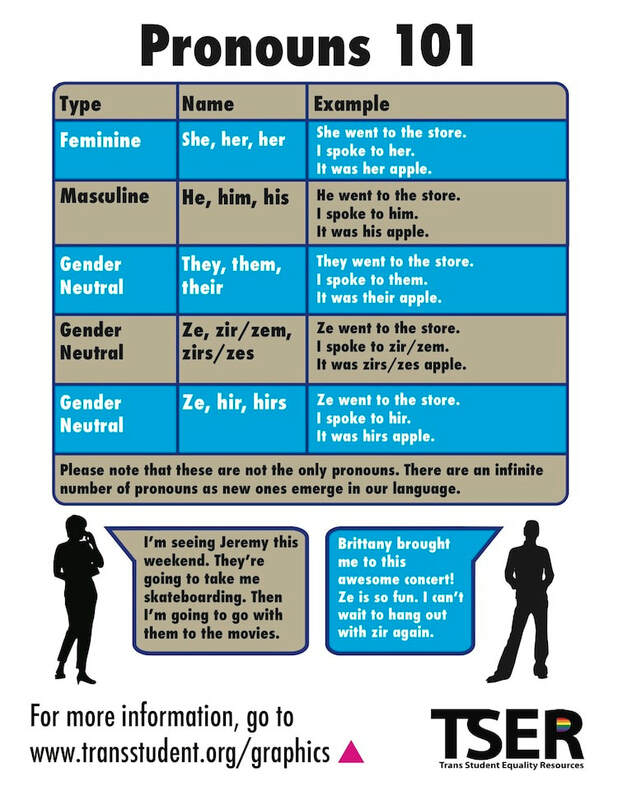 A word on pronoun use in conversation and correspondence with others: English is one of many languages that incorporates both gendered pronouns and gender neutral pronouns (i.e. : they, them, our, ours, etc.) Interestingly, as you can see at the link below (World Atlas of Language Structures Online), the majority of languages in the world do not use gendered pronouns, and/or they have more than two genders of pronouns. Sometimes people are uncertain how to inquire after someone's preferred pronouns. Below is a comic strip created by blogger Robot Hugs (this is from their 2014 archives). For the record, it is entirely grammatically acceptable to use "they" pronouns for singular - usually it happens when writing is formal or in the third person, but can happen with any communication when gender is unknown or irrelevant to the topic of the communication. We had a sad event in our classroom this week - our classroom mascot, Betta fish "Goober" passed away. Our grade 8 class is taking this as an opportunity to learn about descriptive writing by creating eulogies for Goober fish. Today we learned about some basic elements / steps to writing a eulogy. Then we looked up information on Betta fish to get a better understanding of Goober's background before he joined us in room 101. Students will be engaging in a process of writing a rough draft, helping each other to revise and edit those initial drafts and then sharing their euloogy of our fine finned friend. 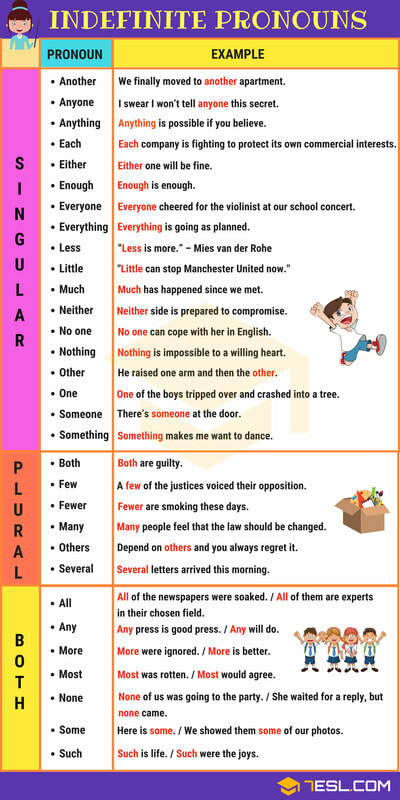 Term: Alliteration, Example: Peter Piper picked a peck of pickled peppers. Imagine you are a famous athlete. A company approaches you and offers you half a million dollars to endorse (promote) a product you dislike strongly and would NEVER use. Do you accept their offer? Why or why not? What does this story teach us about friendship? 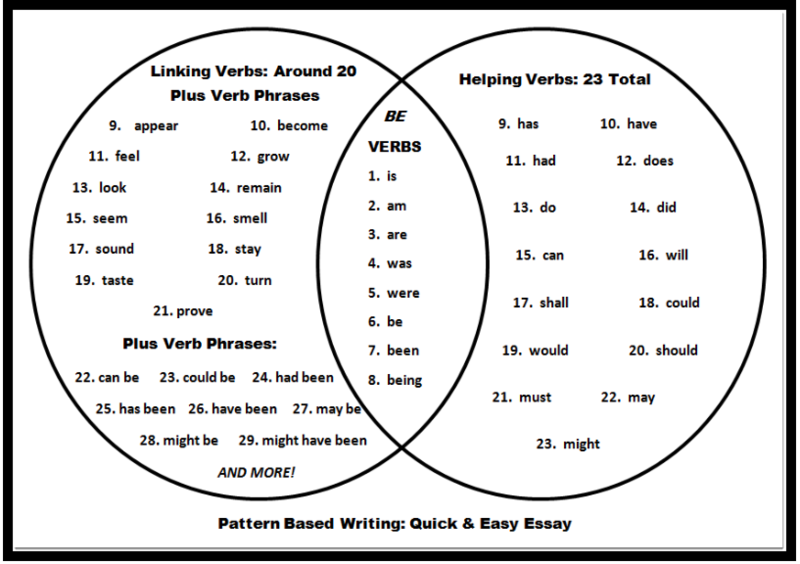 Content Focus - Conventions, Parts of Speech: Verbs! 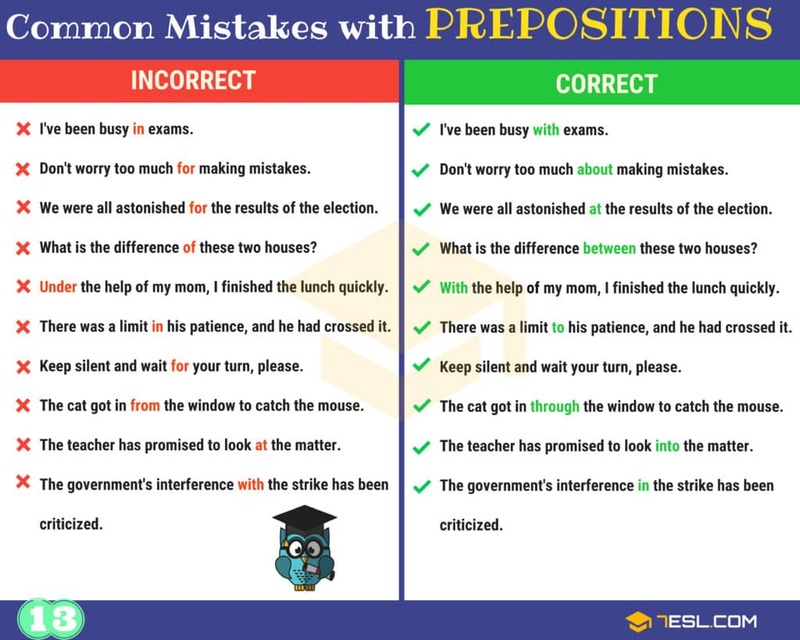 ​One of the most important verbs in the English language is the verb to "Be". This is an irregular verb. 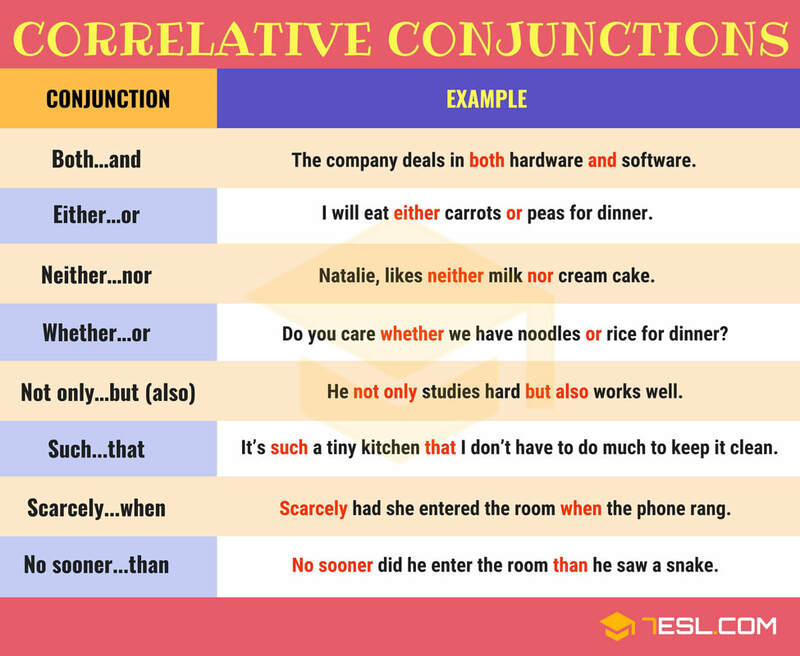 Each type of verb serves a different set of functions in a sentence. 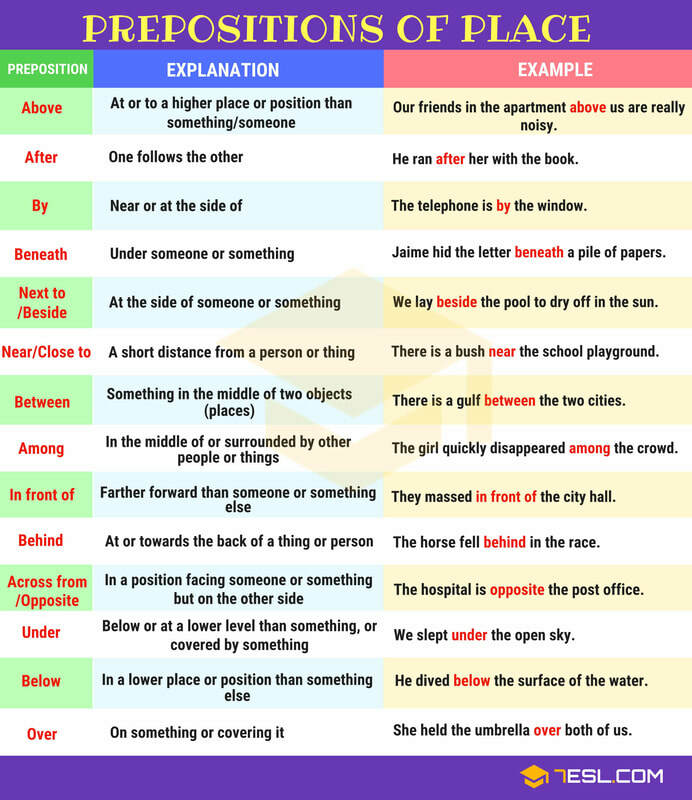 Verbs are conjugated by "tense" - the WHEN an action or state of being happened. Tuesday all students were required to attend the mini assembly that begins every year and semester. This semester, this also included taking part in the annual school community survey. Groups of animals are some of the most entertaining examples of collective nouns. Tuesday we did our silent reading and daily tracking. 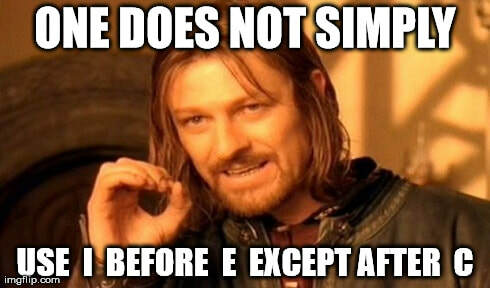 ​Then we did a diagnostic spelling exercise. The diagnostic is NOT a quiz or a test - it was explained to the students that this is like taking a temperature during a health check up or checking the weather outside before deciding what to wear for the day. It's information that provides a starting point. 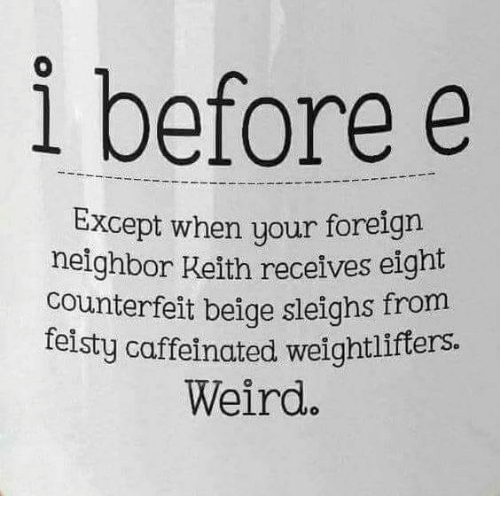 It provides not only the opportunity to set a baseline for the level of spelling when/where students begin to struggle and which conventions of spelling they are finding challenging (i.e. "i before e" or adding "ed" to words) but also to observe what strategies students used when they encountered unfamiliar words. The diagnostic involved a series of 50 words which get increasingly complex. 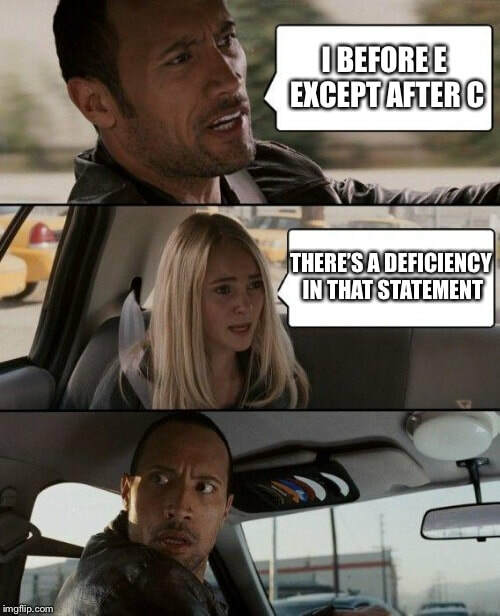 Students cannot fail a diagnostic. It is simply a means of gathering data. This week we began with discussing the basic classroom expectations for our shared working and learning space. For more details, please see the landing page for this site. There is a four-tab chart. One tab is entitled Classroom Expectations and Code of Conduct. Next to is is information on my schedule for this semester. The posters below are based on the Annishnabe tradition of the 7 Grandfather Teachings. I fully acknowledge that these teachings are not from Yukon First Nations. I have spoken with Elders who come to PCSS to work in our classrooms. 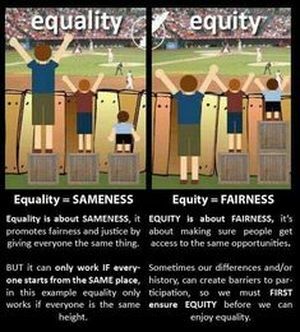 I have been assured that although they are not taught under a heading per se, that these values accurately reflect traditional values taught among Yukon First Nations - and, as one Elder pointed out, among cultures around the world. We also dove right into content and some structures we will be using for the remainder of the semester. Silent reading or other literacy activity. Each of these represents competencies (skills) and content (knowledge) directly linked to the curriculum. You take a taxi for your job. Your employer reimburses you for your job-related expenses. After you pay them, the taxi driver gives you a blank receipt. What amount do you fill in on the receipt? Do you fill in the correct amount? Less than what you paid? More than what you paid? ​"Just be yourself. An original is always better than a copy." We watched a video clip about a young basketball player named Jason McElwain. Prompt: "What lesson can we learn from Jasson McElwain's story?" 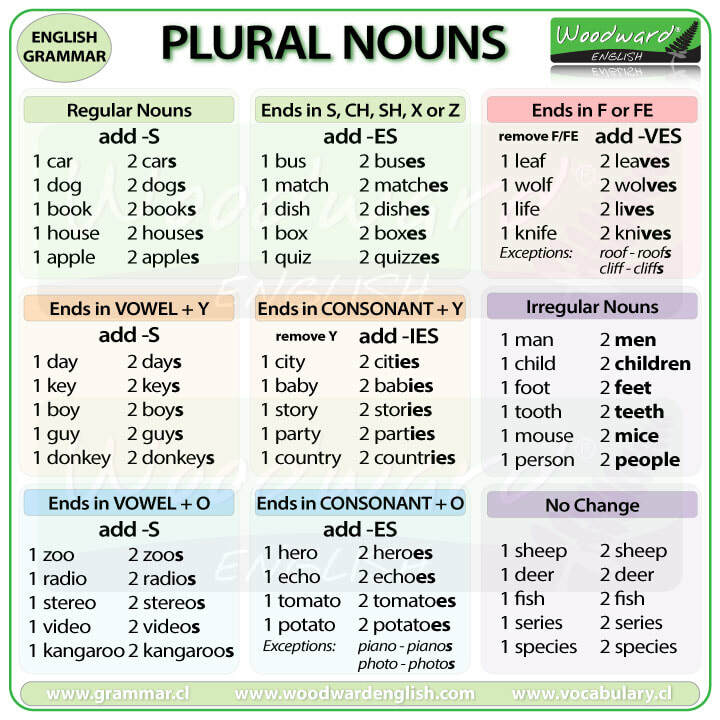 Content Focus - Conventions, Parts of Speech: Nouns! ​A peacock strutted across the lawn. Some things never change - and School House Rock still rocks! Nothing like some corny, melodic mnemonics to help kids remember the building blocks of the English language! 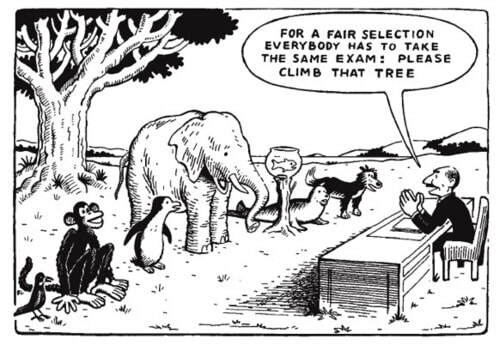 A diagnostic test (just for getting information on areas that will need instruction, this is NOT a summative task; students cannot "fail" a diagnostic, it is simply a means of gathering data to inform focus work for further instruction). Initial activity sheets or activities on a sheet were completed as a class, and later activities were done by individuals, but were "open book" (students were provided a reference sheet "Parts of Speech: All About Nouns") and they could also work in consultation with each other (collaboration is one of the core competencies underlying all of the curricula). Only the final text for what they'd learned had to be done individually, but was also open book, as I want them to practice being able to effectively search resources for accurate information. We did not watch the video below during class, but it provides an overview of all of the types of verbs we covered in the worksheets. If students are unsure of any of the terminology, this is an excellent review. We did use the video below on collective nouns for animals. Useful information. Please note that the narrator speaks very slowly because the video is designed primarily for people English Language Learners. We simply sped up the playback speed. A pride of lions, a murder of crows, a crash of rhinos, and every other collective noun for animals. This is a listing of every animal congregation I could find after scouring the web. If you see any missing, let me know. Students were provided a copy of this document as a reference sheet for the semester. It is recommended that they keep it in their binder or in the folder they have been provided in the classroom (each student has one). ** Please note that I provide "Scribd" documents on the website so that PDFs can be easily viewed. Trying to download the document off of the Scribd window will result in you being re-directed to their website and 'encouraged' to sign up for their service. Some of their services are free, but there is a hard sell attached for extended services. In order to prevent you from having to deal with that, I have included a direct file download of the same document immediately below the Scribd window here on the site. You DO NOT need to sign up for Scribd to get files!